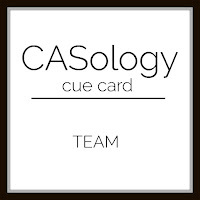 This week's CASology Cue Card is Team. I gave this one a lot of thought and actually made two cards (see below). Once you're married you are part of a team, so I made a simple Anniversary card. It's one layer, black and white, has lots of white space and a pop of colour for interest. This whimsical Lil' Inkers Designs set was perfect for this card! Seriously sweet!!! The stick couple totally made me smile! Ya know that I'm lovin' this card! 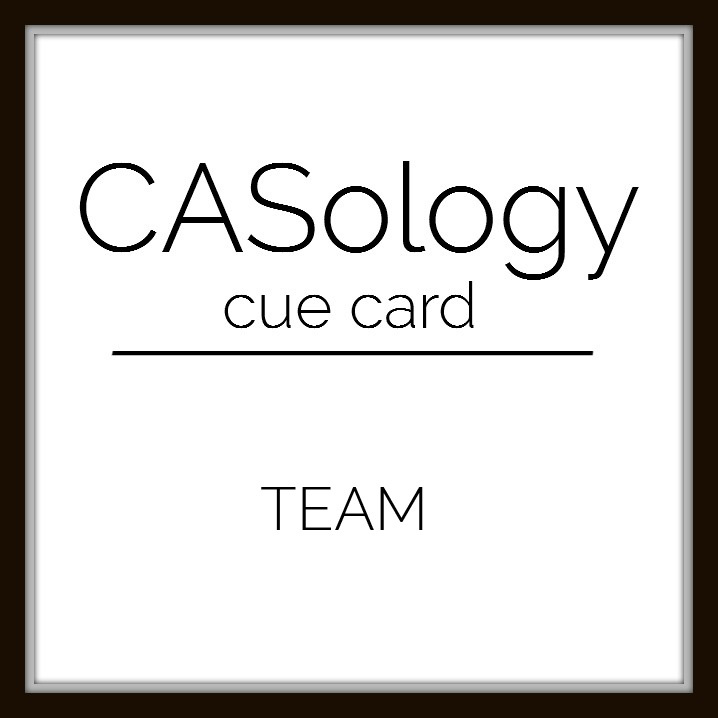 Two brilliant interpretations of the word team. Well done. These are both terrific interpretations of the cue word! The stick couple is so cute, and I <3 the second card a lot! Your cards are such creativetakes on the inspiration word. That anniversary card is the cutest evah!! I love both takes Ardyth! So sweet....love both of your cards! Your second card is amazing, it's like watching Santa from outer space flying around the globe delivering gifts, stunning look. Your cards are so amazing ! I'm in love with the first one ! I love this really simple stamp but so effective ! The stamp + the sentiment + a touch a colour = A stunning CAS card ! Love also the background of the focal point in your second card ! This moon is absolutely gorgeous ! Both cards are so cute, Ardyth, and a great example of 'team'. Aaaah! Fantastic ideas, Ardyth! I didn't think of either of those, and they are both such good ones! Love your anniversary card with its pop of red (I'm so predictable!) and your Christmas card is an awesome idea! Just realised that I actually have a santa sleigh in my stash, so could CASE this beauty. Thanks for the inspiration!